Adults who have a high school level education and basic language and math skills, have far more opportunities than those who don’t. Adult Basic Education and literacy instructors teach those basic skills… and also help adult students complete their high school credential. Adult basic education teachers focus on teaching reading, writing, and math to students… usually adults who have not completed high school and who want to improve their work prospects. High school equivalency and adult secondary education teachers prepare students to earn a high school equivalent diploma. Classes may include specific workplace vocabulary, skill development in critical thinking, and problem solving. 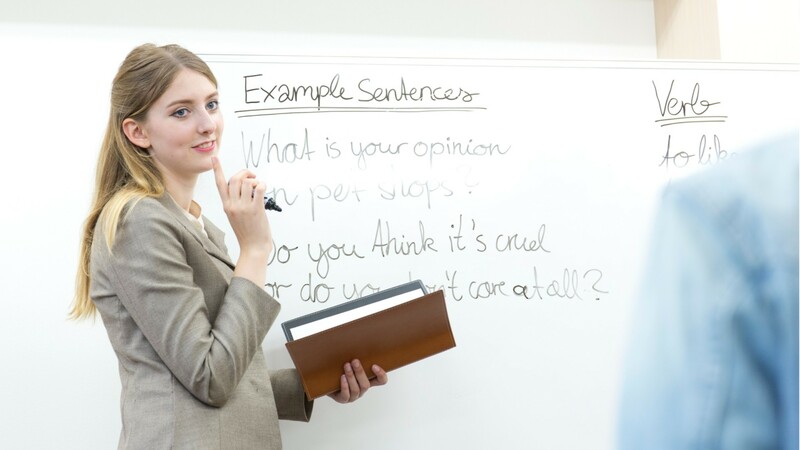 English as a Second Language or ESL—teachers emphasize English reading, writing, and speaking for students whose native language is not English. Classes include practical vocabulary for jobs and daily living, and often, preparation for the citizenship exam. ESL teachers must be creative with their communication, as students in a class may not share a common language or read and write in their native language. Adult Education and ESL teachers work in elementary and high schools, community education programs, and colleges. Many work part time, in the mornings and evenings. Typically, candidates need a bachelor’s degree. Some states require licensure or a certificate to teach, while some community colleges prefer candidates with related graduate coursework or a master’s degree. See more details at O*NET OnLine about adult basic and secondary education and literacy teachers and instructors. Adult Basic & Secondary Education & Literacy Teachers & Instructors by U.S. Department of Labor, Employment and Training Administration is licensed under a Creative Commons Attribution 4.0 International License.